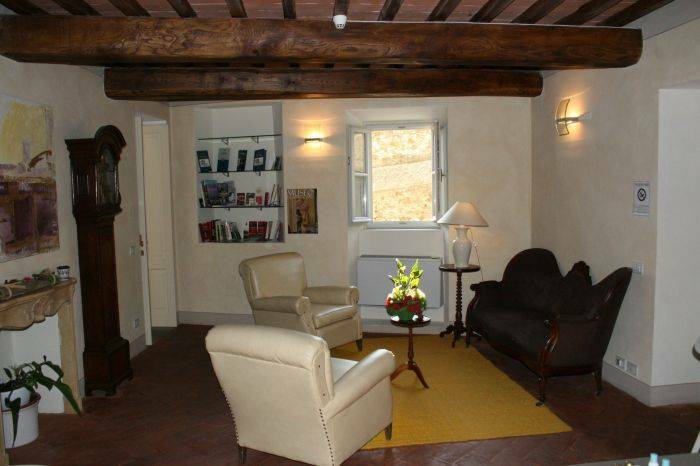 The B&B ART is a charming bed and breakfast and holiday apartments located in the centre of San Casciano Val di Pesa, a quiet small city conveniently situated in the heart of the Chianti region, close to Florence which is only 15 Kms away. 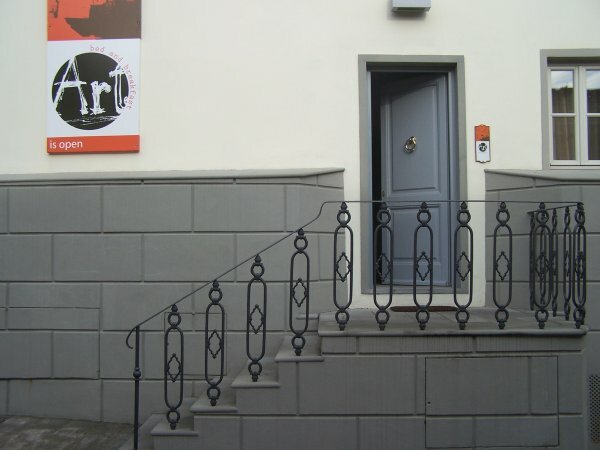 Housed in an ancient palace completely restored in 2006, the B&B ART takes its name from the precious contemporary art collection showed in the palace. Shops, parking, bars and good restaurants are located at a short walking distance. All our double rooms and Junior Suites, each one unique, are distinguished by the typical wood-beam ceilings and by the terracotta tiled floors, furnished with genuine antiques and equipped with en suite private bathroom with shower in marble or bath tube, hairdryer, TV sat with LCD screen, telephone, heating / air conditioning. Upon request a complimentary baby cot is also available. Linen, daily cleaning and toiletry set are included. Our buffet of continental breakfast, based on fresh local products, is served from 8am until 10am in a beautifully light room on the first floor. B&B ART management will be at your service to help you choose good restaurants, guided tours, wine and oil tasting, museums and exhibitions. Upon request cooking classes, transfers from / to airports or railway stations, room service, laundry service, fax are also available. Wi-Fi connection. 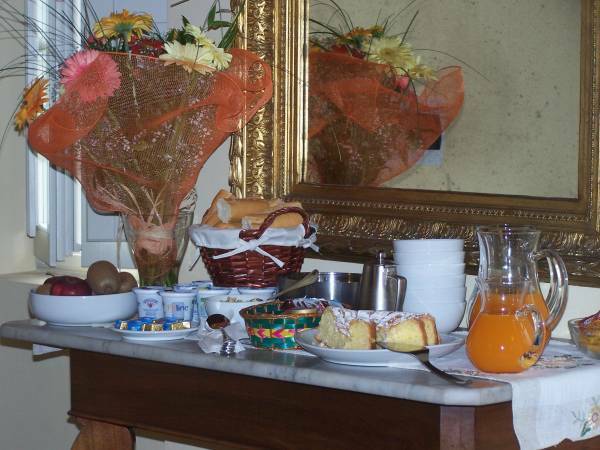 B&B ART is the perfect place to visit historic cities like Florence and Siena or to discover the beauties of the Chianti region with its enchanting landscapes, its vineyards, its olive trees and its delightful medieval villages. 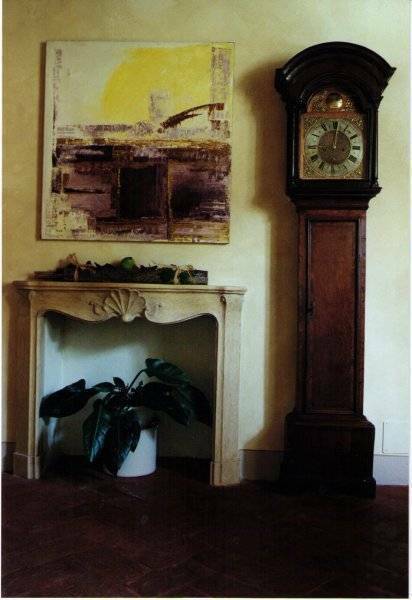 The B&B ART is housed in an ancient palace completely restored in 2006, opposite to the ancient walls of San Casciano Val di Pesa, and takes its name from the precious contemporary art collection showed in the palace. Shops, parking, bars and good restaurants are located at a short walking distance. 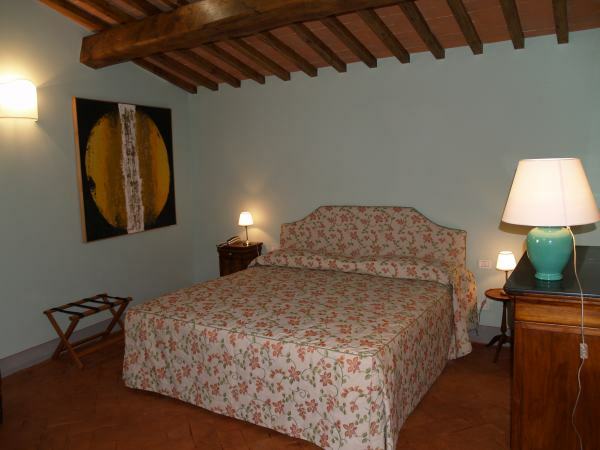 B&B ART disposes of double rooms (also for single use) and holiday apartments distinguished by the typical wood-beam ceilings and by the terracotta tiled floors and furnished with genuine antiques. 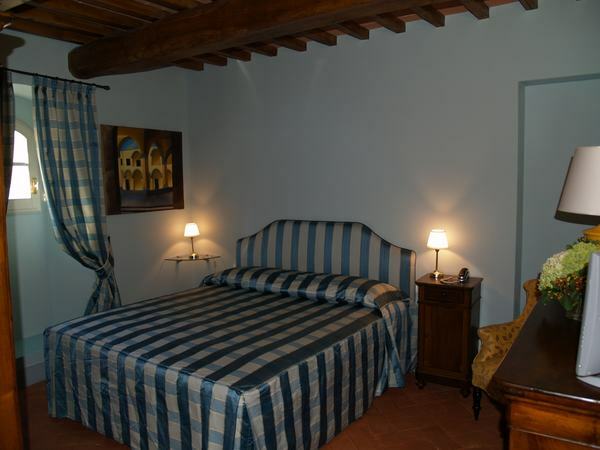 Our apartments are located on the second floor of the house with a magnificent view on the Chianti hills (and on the sunset) and equipped with double room, living room with sofa and armchairs, private kitchen, fridge, private bathroom with shower. San Casciano is the northern door of the Chianti region, the first place we come to following the Florence - Siena motorway of the Via Cassia (SS2) from the highway exit of Firenze Certosa. Its origins come from the ancient Roman period, as per a document dated 774 which describes the church of Santa Cecilia a Decimo, so named thanks to its position, on 10th mile of the Cassia road. San Casciano still preserves traces of its ring of walls constructed by the Florentines in the second half of the 14th century and the B&B ART is exactly located behind these ancient walls. With an altitude of 310 metres, San Casciano dominates the valleys of rivers Greve and Pesa, in a magnificent hilltop position. The landscape all around is characterised by a continuous alternation of valleys and gentle hills cloaked in vineyards and olive trees. The entire surrounding area is scattered with medieval villages, churches and abbeys, ancient villas and castles. In case of cancellation 7 or fewer days prior to arrival we require the payment of one night.